One of the other games we bought on our recent trip was one of the Shadows of Brimstone set by Flying Frog. 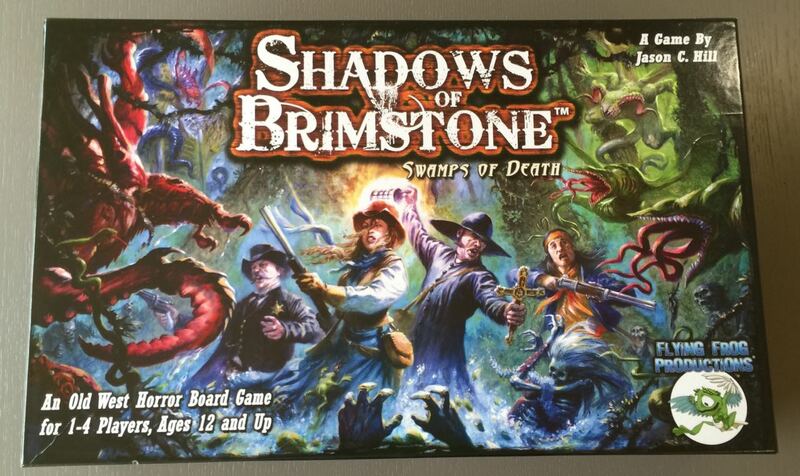 Shadows of Brimstone is an old west horror board game, where you play cowboys battling against monsters from beyond. It’s not technically a Cthulhu game, but it has that kind of flavour. The one we got was Swamps of Death. There is also City of the Ancients and they are compatible with each other which is cool. Posted in Blog Posts and tagged Flying Frog, Shadows of Brimstone, Unboxing on February 7, 2015 by Tim.